This project is an extension of the Equine Safety in Training Project. It was established after key issues were identified with the application of increased safety measures with horses in the context of the Thoroughbred and Standardbred racing industry. Feedback from industry was that the proposed safety measures being applied to the units of competency within the ACM Animal Care and Management Training Package and AHC Agriculture, Horticulture, and Conservation and Land Management Training Package were not appropriate for the Horse Racing Industry. It was determined that additional work was required to satisfactorily incorporate safety into the units, skill sets and qualifications within the RGR Racing Training Package. Industry feedback also outlined the need for a thorough review of all racing units, skill sets and qualifications to ensure they align to current skill standards, ensuring all job functions are accurately described. The Industry Skills Committee (AISC) issued an activity order for this project to commence, following the approval of the Case for Change which can be downloaded via the link below. Skills Impact and the Racing Industry Reference Committee (IRC) will take this project through a process that adheres to the 2012 Standards for Training Package Development. Units of competency, skill sets and qualifications within the RGR Racing Training Package will be reviewed and updated to reflect the current skills and safety requirements of industry, so that all job functions are accurately described. This project is an extension of the Equine Safety in Training Project. Feedback from industry is that the safety processes and measures in the horse racing industry are unique to the safety measures for other horse related industries. Industry has also identified the need to review and update units, skill sets and qualifications to reflect new and current industry standards and practices, particularly in relation to the occupations listed below. Subject Matter Experts will be drawn on throughout this project to help review and draft the revised units and qualification. Draft qualifications and units of competency will soon be available for industry feedback. Skills Impact is currently meeting with Principal Racing Authorities and Subject Matter Experts to determine the current skill needs of racing industry job roles. Broad industry consultation is scheduled to commence mid-October, when draft units will be made available for comment on this webpage. Your input is welcome, please feel free to register your interest to keep informed of project updates and when draft units are available for feedback. To view the project scope, timeline and key deliverables, please select the ‘Project Plan’ button above. Thank you to those who provided feedback on the draft qualifications, skill sets and units of competency. The drafts were made available on the Skills Impact website from 19 October – 10 November 2017. Feedback was sought on whether the draft qualifications, skill sets and units reflect the current skills and safety requirements of industry, and whether job functions are accurately described. The feedback will inform the work on the final drafts which will be available for industry validation in December 2017. The draft qualifications, skill sets and units that were available for industry review and feedback are listed below. RGR20X18 Certificate II in Racing – This entry level qualification has been developed to provide opportunities for specialisations in stablehand, stud hand, track maintenance and administration. It is designed to provide an overview of the industry and allow individuals to develop skills for pathways to higher qualifications or skill sets. RGR30X18 Certificate III in Racing (Driving Stablehand) – This qualification would replaces the Certificate III in Racing (Advanced Stablehand). It was developed based off feedback from the previous Industry Skills Council that there was a need to cater for driving stablehands within the harness industry. RGR30X18 Certificate III in Racing (Stablehand) – This qualification would replace Certificate III in Racing (Advanced Stablehand). It was developed based off feedback from the previous Industry Skills Council. Units relating to supervisory roles have been removed. It covers the harness and thoroughbred codes of the racing industry. RGR4XX18 Certificate IV in Racing Integrity – This qualification would replace RGR40608 Certificate IV in Racing Services (Steward), which has no uptake in industry as it is outdated. It has been developed following feedback from stewards. RGR50X18 Diploma of Racing Integrity Management – This qualification would replace RGR50308 Diploma of Racing Services (Steward), which has no uptake in industry as it is outdated. It has been developed following feedback from stewards. RGRSS000XX Thoroughbred Clerk of Scales Skill Set – This new skill set covers the duties of clerk of scales who weigh jockeys at thoroughbred race meetings. RGRSS000XX Horse Race Day Veterinarian Skill Set – This new skill set covers the specific requirements needed by veterinarians to work on track at harness or thoroughbred race day meetings to support animal welfare and the rules of racing. RGRSS000X4 Greyhound On-track Veterinarian Skill Set – This skill set has been developed following feedback from Principal Racing Authorities that there are special requirements for local on-track vets, who require particular knowledge of the greyhound dog breed, rules of racing and injuries that may occur during race meets. RGRSS000XX Investigative Steward Skill Set – Principal Racing Authorities identified a need for specialist investigators to support stewards and work in the integrity division of relevant racing authorities across the three codes. RGRSS000XX Raceday Steward Skill Set – Feedback from the previous Industry Skills Council was that there was a need for a skill set for assistant or part-time stewards working and supporting other stewards on race days. It replaces the Certificate III in Racing Services (Cadet Steward). RGRSS000XX Racing Club Administration Skill Set v1 – This skill set was developed to cover the essentials of racing club administration. Feedback received from industry was that there was no need for full qualifications in racing administration (Certificates II-IV and Diploma of Racing Services (Racing Administration)]. Administrative roles can be covered by business services qualifications. 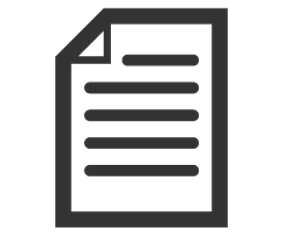 RGRSS000XX Racing Stable Administration Skill Set v1 – This skill set was developed by the previous Industry Skills Council, in consultation with industry. We are now seeking confirmation for the requirement of this skill set. RGRSS000XX Trackwork Supervisor Skill Set v1 – This skill set was developed by the previous Industry Skills Council, in consultation with industry. We are now seeking confirmation for the requirement of this skill set. RGRSS0002X Non Turf Race Track Curator Skill Set – This skill set focuses on preparing non-turf track surfaces and related track facilities in the Greyhound, harness and thoroughbred codes. It replaces Certificates II, III and IV and Diploma of Racing Services (Track Maintenance). 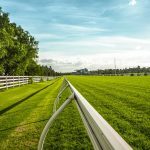 RGRSS0002X Turf Race Track Curator Skill Set – This skill set focuses on preparing turf track surfaces and related track facilities in the thoroughbred racing code. It replaces Certificates II, III and IV and Diploma of Racing Services (Track Maintenance). Turf track maintenance roles are covered by sports turf management and horticulture qualifications. RGRPSH201 Handle racehorses in stables and at trackwork (title changed to reflect the merging of content from RGRPSH208A Attend horses at trackwork and RGRPSH201A Handle horses). The units were merged to reduce overlap/duplication between the two units and to develop a racing specific unit. Similar ‘handle horses’ units in the ACM and SIS Training Packages were not considered appropriate for the racing industry, where individuals are required to work with racehorses, operate in racing stables and tracks and fit racing approved gear to racehorses. RGRPSH205 Perform basic riding skills in the racing industry (title changed to reflect the merging of content from RGRPSH206A Develop riding skills for flatwork and RGRPSH205A Perform basic riding tasks). The units were merged to reduce overlap/duplication between the two units and to develop a racing specific unit. Similar ‘basic riding’ units in the ACM and SIS Training Packages included ‘handle horses’ prerequisites that were not appropriate for the racing industry and would mean that individuals would have to undertake two similar prerequisites one of which was not appropriate for the racing industry (see comment above). Thank you to those who participated in the validation process for the final draft qualifications, skill sets and units of competency for the racing industry. The final drafts are now progressing through the Finalisation stage of the project. After final quality assurance of the drafts and review and feedback from the State/Territory Training Authorities, the final drafts will be forwarded to the Racing Industry Reference Committee (IRC) for consideration and sign off. They will then be submitted to the Australian Industry and Skills Committee (AISC) to consider and approve for publication on training.gov.au. Validation means checking and confirming that the documents are logical and factually accurate. Industry views were sought on whether the final draft qualifications, skill sets and units reflect the current skills and safety requirements of industry, and whether job functions are accurately described. The final draft qualifications, skill sets and units that were available for industry validation are listed below. A summary of the feedback that was received during the consultation period (between 19 October – 10 November) and a description of its consideration and application in the final drafts can be downloaded below. For information on the changes from the draft qualifications in Racing, click here. The proposal to delete these units will result in their removal from the RGR Racing Training Package altogether. Once industry has validated all final drafts they will be submitted to the Racing Industry Reference Committee (IRC) for consideration and sign off. After final quality assurance of the drafts, they will be submitted to the Australian Industry and Skills Committee (AISC) to consider and approve for publication on training.gov.au. At their meeting on 5 June 2018, the Australian Industry and Skills Committee (AISC) approved the Case for Endorsement for the updated and revised qualifications, skill sets and units of competency, along with a Companion Volume Implementation Guide. The final qualifications, skill sets and units of competency are now published on training.gov.au, which means they are available for use by registered training organisations (RTOs). They are published within the RGR Racing and Breeding Training Package version 2.0 (published on 05/07/2018). This training package was previously called the RGR Racing Training Package. The name has changed to reflect the value chain of the racing industry, where employees move seamlessly between racing stables and breeding farms, and to highlight the importance of breeding to the industry. This project reviewed and updated racing industry qualifications, skill sets and units to incorporate safety requirements as well as the current occupational skill standards and needs of industry. For further details about the development of this project, please click on the green project arrows above. Initial consultation took place with a wide group of Subject Matter Experts (SME), to gather information that informed the first draft version of the revised qualifications, skill sets and units. Broad consultation took place via five consultation webinars and the website, where the draft documents were made available for download and feedback (from 18 October – 10 November 2017 and again between 6 – 20 December 2017 when the drafts were revised for validation). Engagement took place throughout the project with peak national and state racing bodies, attendance at the Racing Trainers Network meetings, as well as direct communications with state and territory training authorities (STAs/TTAs) and VET regulators to seek input and keep them informed of the project’s progress. This project reviewed 16 qualifications, including 9 that were earmarked in 2015 for deletion by AgriFoods Industry Skills Council (ISC), 3 for Stewards and 4 for racing administration. It also included a review of 132 units of competency to incorporate safety requirements as well as the current occupational skill standards and needs of industry. Stakeholder advice and feedback received during the consultation of the project resulted in the review of the following components. 15 units have been deleted, feedback from industry was that they are not required, or they are not used in any of the revised qualifications, or they have been replaced by another unit. 4 units were merged to become 2 new units. The Companion Volume Implementation Guide contains key information to help training providers implement the qualifications, skill sets and units, including the key work and training requirements in the industry; regulation and licensing implications for implementation; pathways advice; industry sectors and occupational outcomes of qualifications; and advice on workplace health and safety implications.